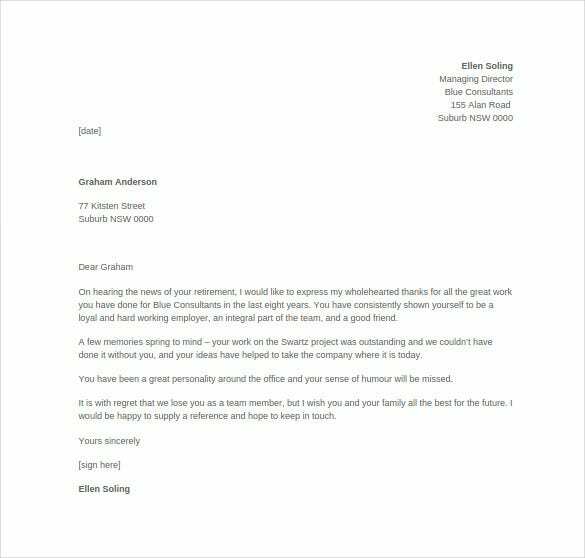 In many companies it is a ritual to send out thank you letters to particular or all employees whenever a company achieves a milestone. 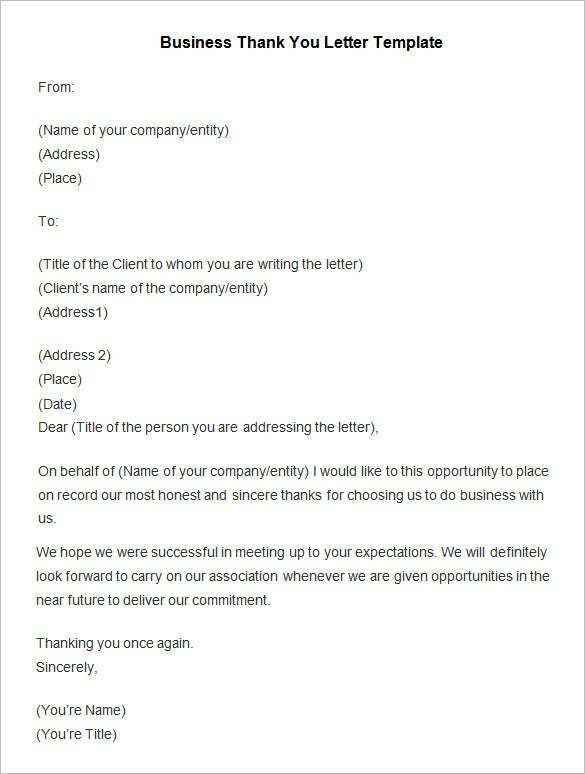 It’s a good tradition to keep. 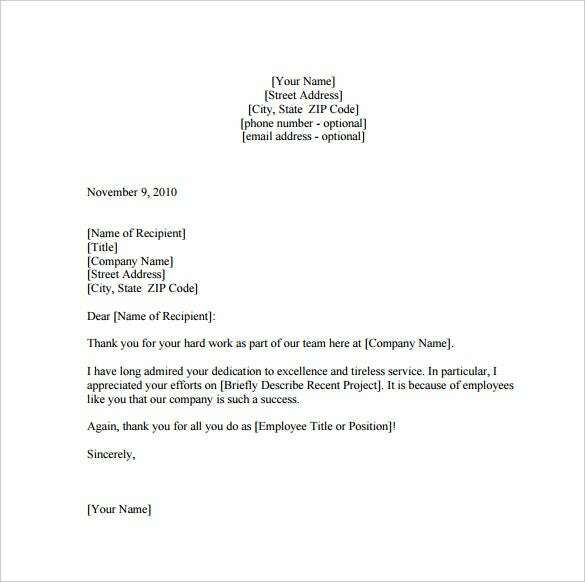 Thank you letters to employees are also given whenever they achieve personal office targets as well. 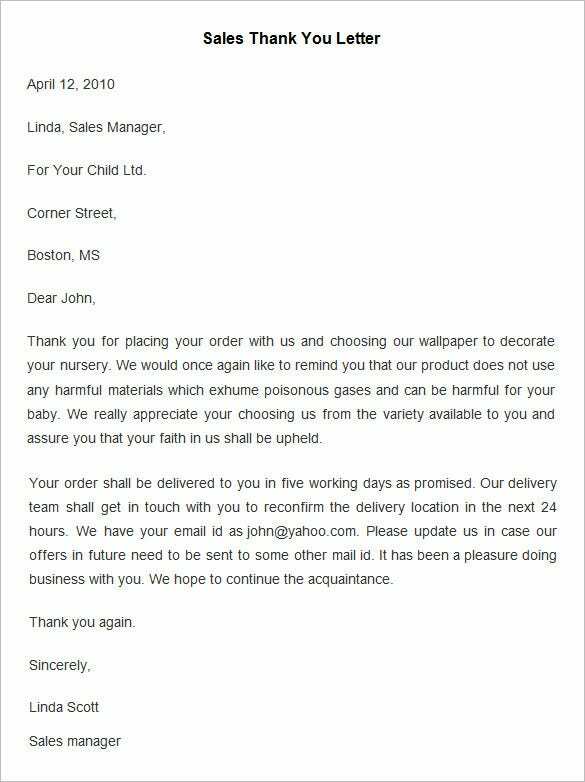 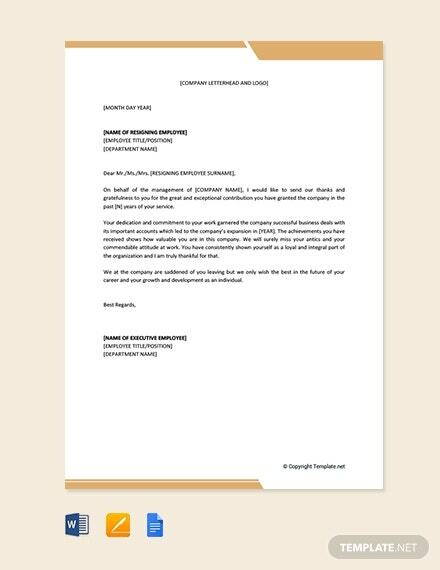 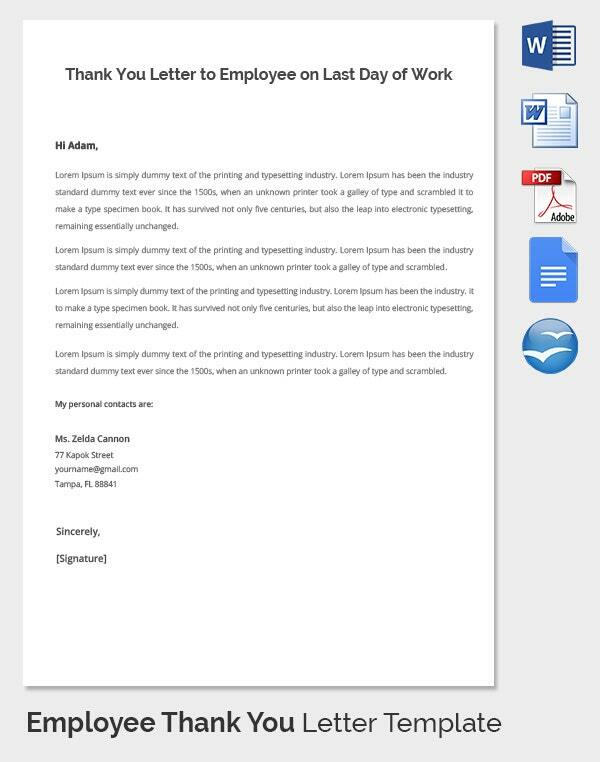 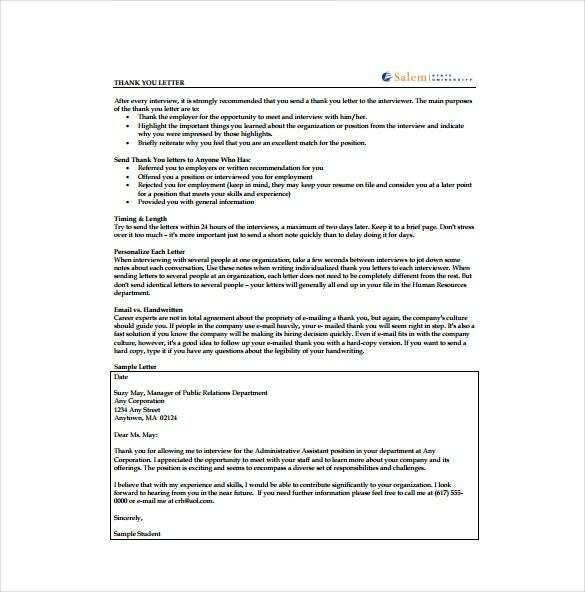 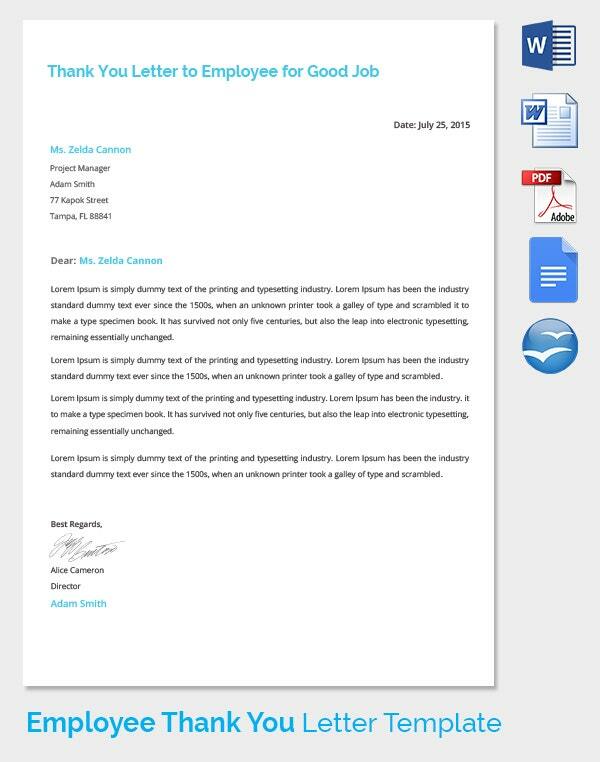 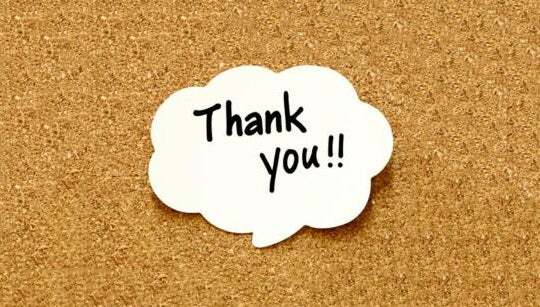 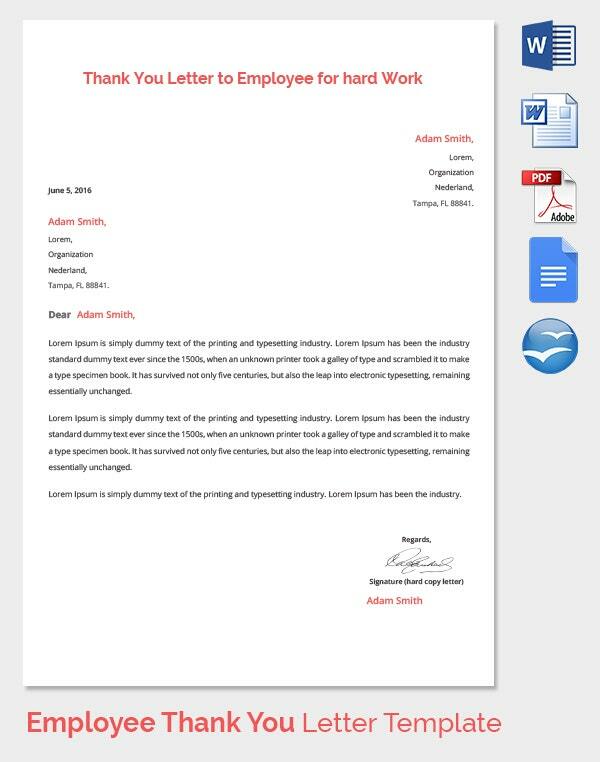 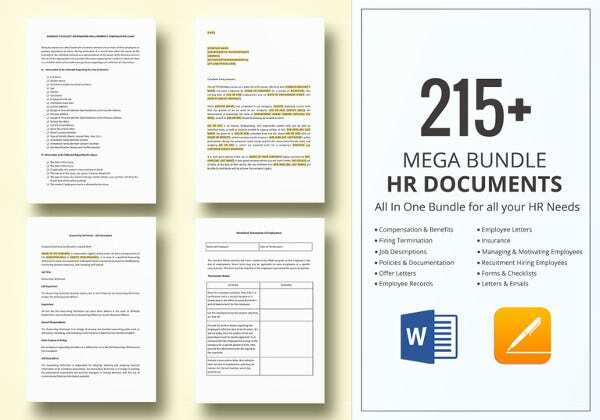 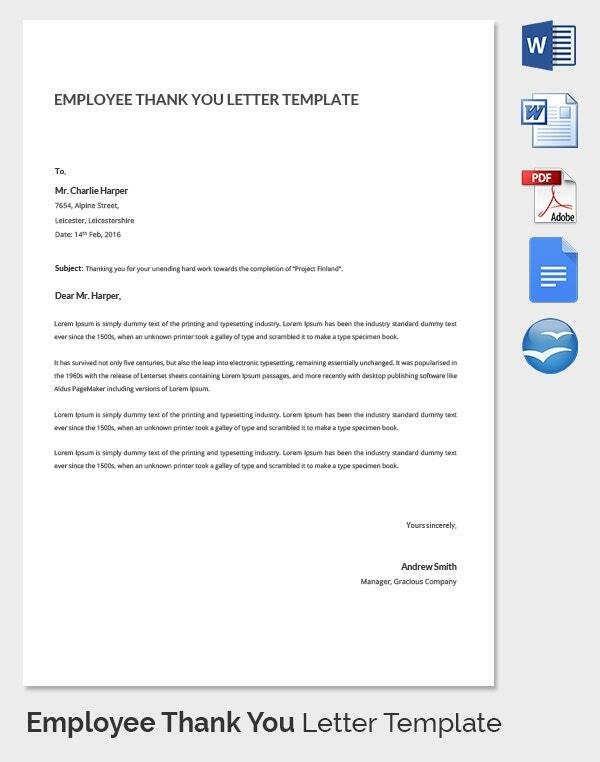 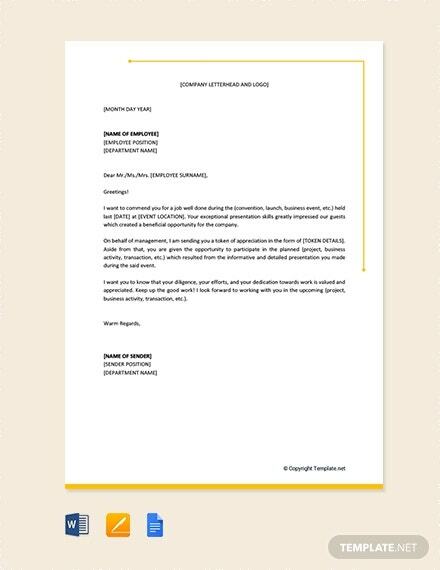 There are numerous employee thank you letter templates existing in different styles and formats on the Internet. 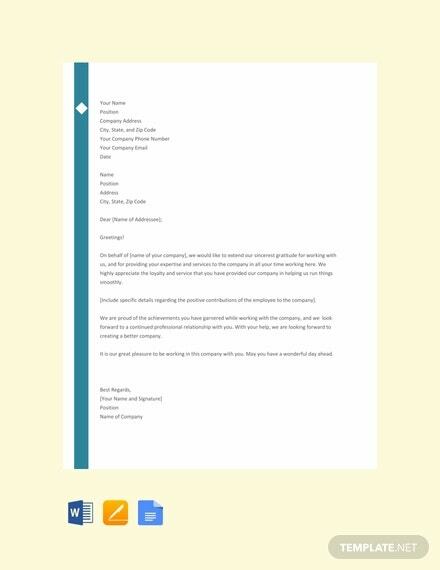 Download and customize the contents of whichever template you feel fits best. 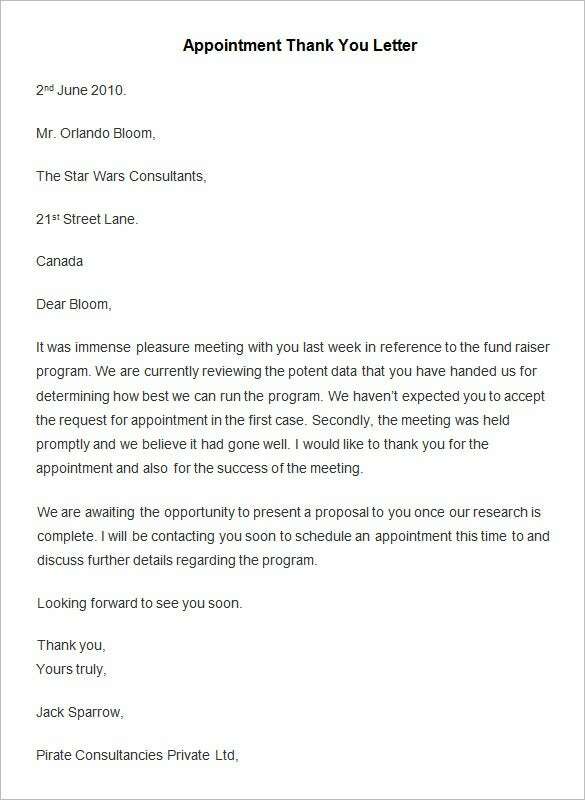 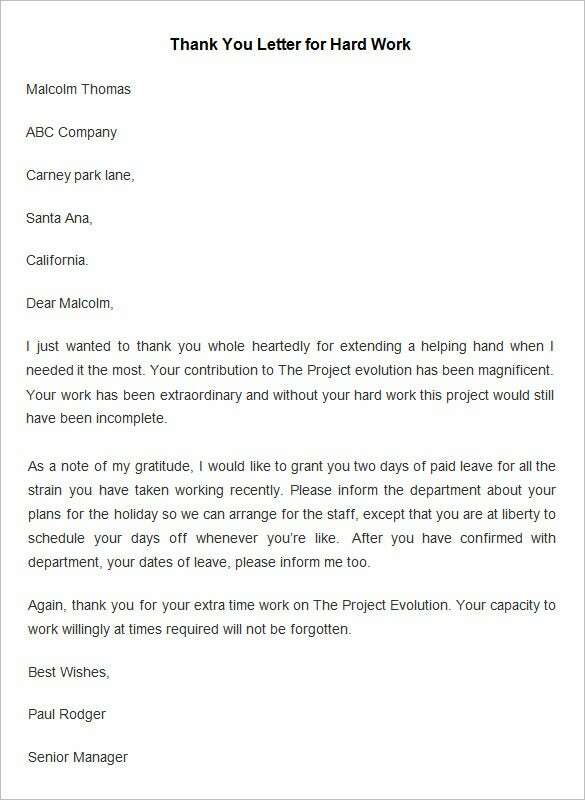 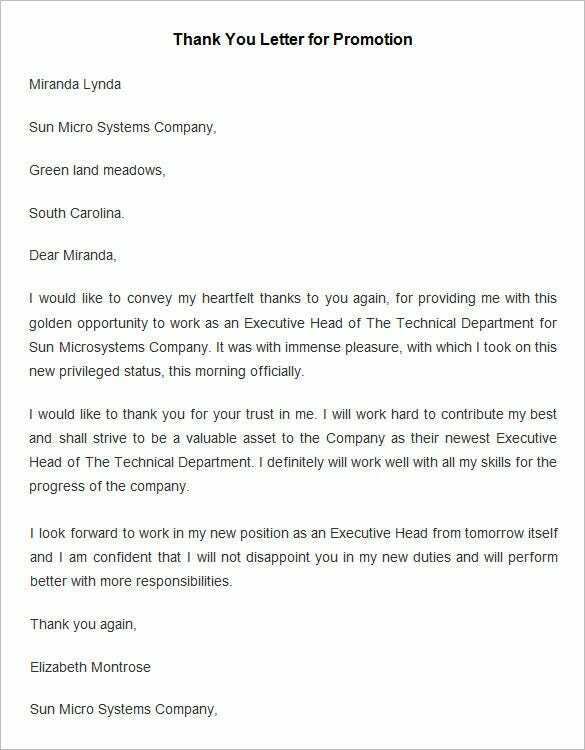 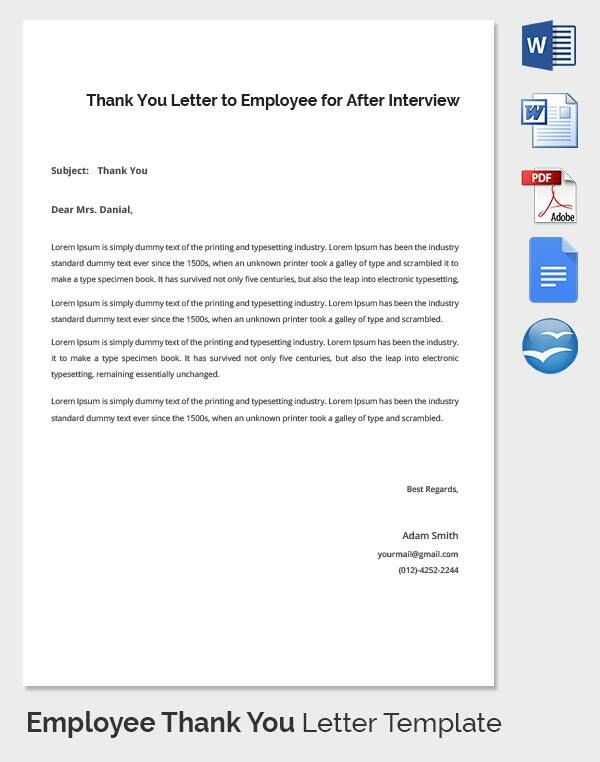 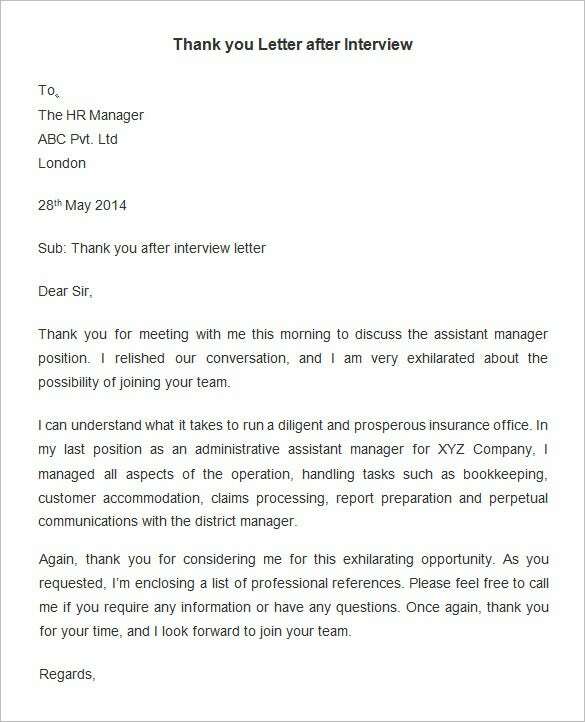 You may like Thank You Letter After Interview. 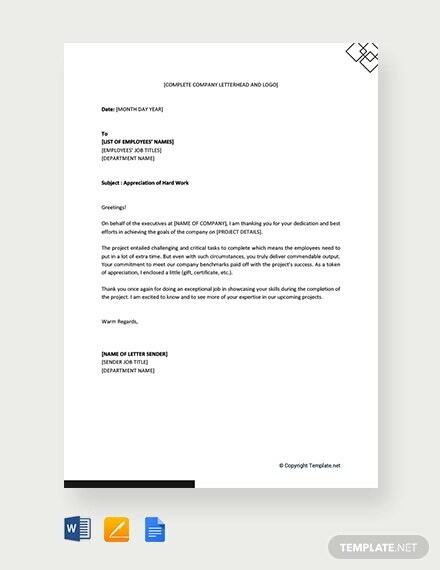 The templates are powered with professional layout and designs. 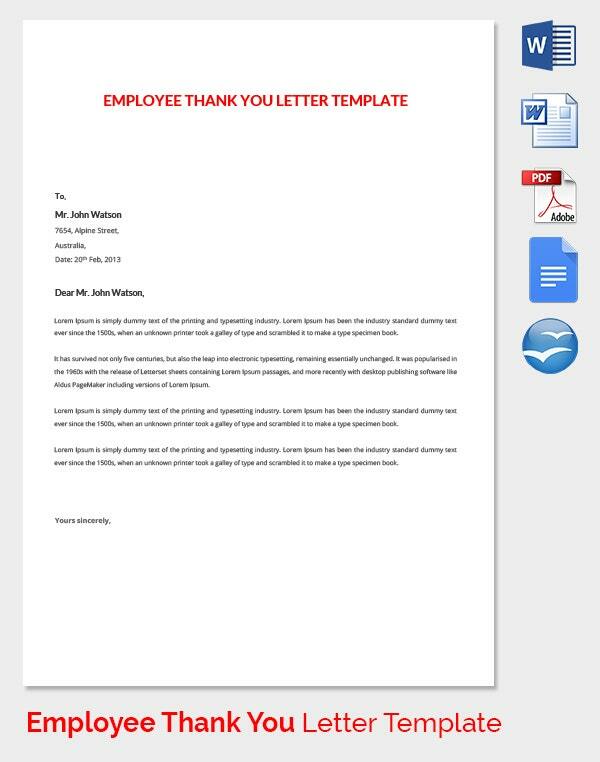 The only aspect you may have to tweak a bit would be the text of the thank you letter templates. 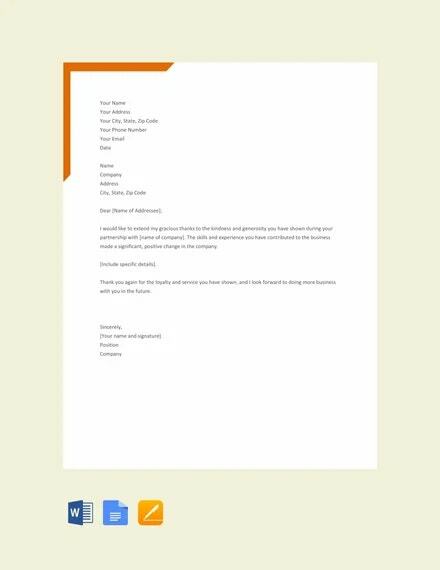 Download a template in the format of your choice, and make all the edits necessary. 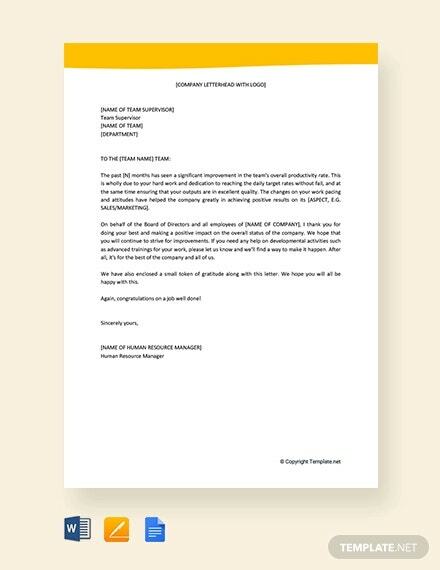 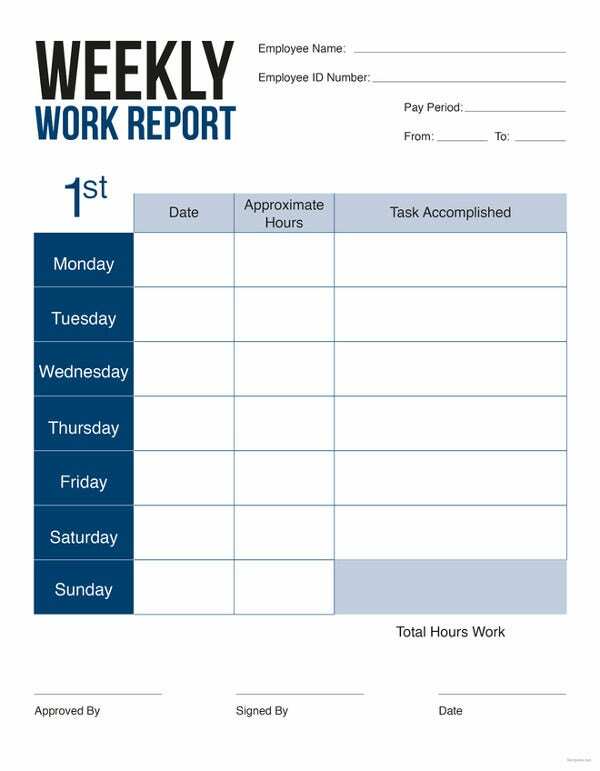 All of the templates listed are print-ready material.. You may also like Letter Templates.